Only a month and a half late, but I'm finally getting around to posting about our family vacation we took to end the summer. 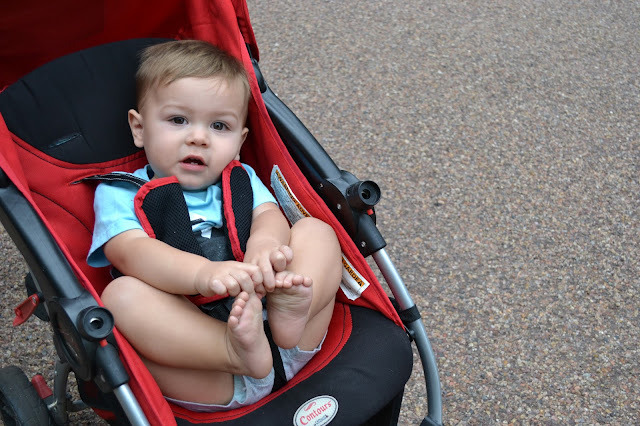 It was also our last hoo-rah before Andrew started school which is another thing I haven't blogged about. So let's touch on that first. 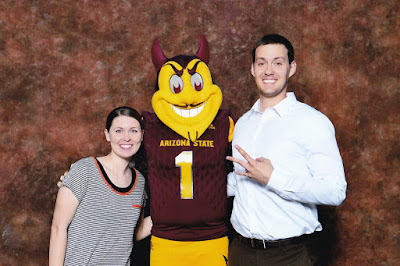 After months years of studying for the GMAT and what seemed like endless applications/essays written, Andrew found out that all his hard work payed off when he was accepted into the MBA program at Arizona State University. This meant that we didn't have to sell our house and move to another state (which was a big possibility that we had prepared ourselves for). We're now guaranteed another two years in our home (and hopefully more if Andrew can secure a local job after he completes the program). School started two weeks ago and no time was wasted to throw those poor students into a very full workload. It's pretty much a full-time job (I personally think it's more work than a full-time job). Andrew is out the door by seven every morning and usually gets home around six. He spends an hour or two playing with Taylor and then it's off to study and do homework until 11 pm. We've already experienced a few days where he was only able to see Taylor by Face-timing in between classes since Taylor isn't awake before he leaves and is fast asleep on the days Andrew gets home late. 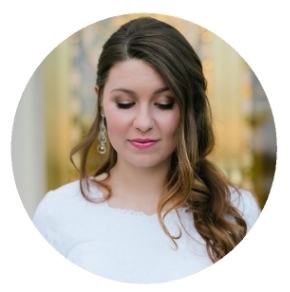 Luckily I was forewarned many times that I wouldn't see my husband for the next two years. I have been mentally preparing myself to do the whole single-parent thing so it actually hasn't been too terrible for me to adjust. The only thing that's been hard thus far is now I can't watch any of "our" shows without Andrew. He definitely has no time to sit down to watch them so I am being deprived of ALL THE SHOWS. Our Netflix queue is going to be pretty full whenever we find time to catch up. Now with that out of the way, onto our vacation. Andrew's family usually takes a yearly trip (you can see last year's trip to San Diego here). This year we were headed to Pine Valley, Utah and it was planned for the last week of July which meant that Andrew was going to turn the big 3-0 on our vacation. We had already decided to extend this week long trip by continuing up to Springville, Utah to stay with Andrew's sister for another week afterwards. Since it was going to now be a two week trip, I decided why not make it a little longer by leaving a few days early and surprising Andrew with a little birthday gift. 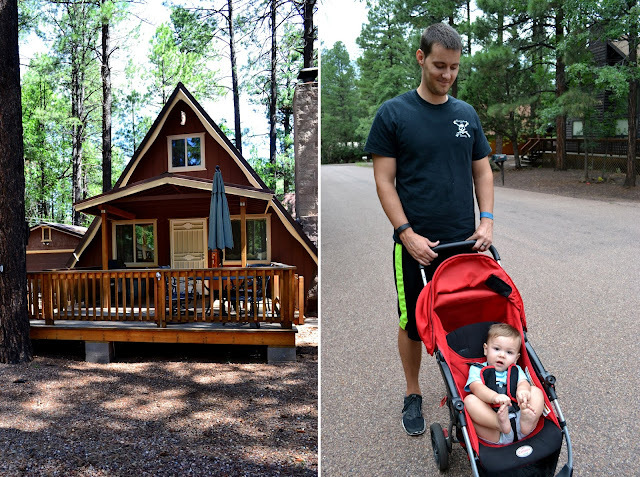 So our first leg of the trip, I rented the cutest A-frame cabin in Pinetop, Arizona for our little family. Now if you're not familiar with Arizona, you probably only picture cactus and imagine the hellish heat. While this is mostly true, there's also a place called the White Mountains which is in the north-eastern part of Arizona. This is the area I grew up in and it is a magical place where there's four seasons and it snows in the winter and there's pine trees. It was so nice to get out of 100+ weather for a few days. Andrew loved the cabin and we took frequent walks to enjoy our quiet wooded area that we were tucked away in. 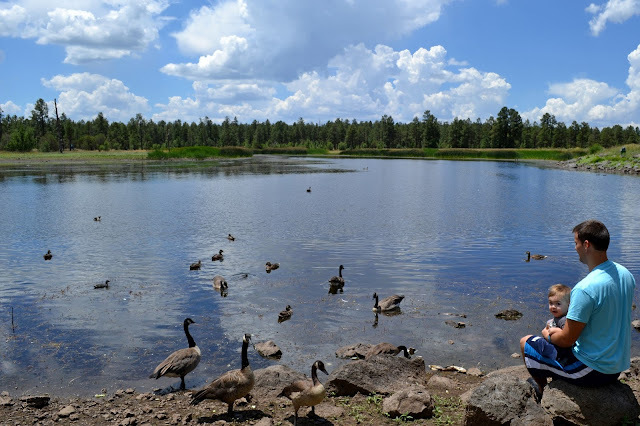 Pinetop is also home to one of our favorite restaurants. If you're ever in the area (even just passing through) stop at Los Corrales. It is delicious! Where we were staying is about an hour away from where I'm from. Saint Johns is a super small town with not much to do, but I still love it. Luckily for us, our trip coincided with their 24th of July celebrations. Every year, Saint Johns celebrates Pioneer Day with a week of events and activities. We were able to drive over for some of it and caught the free ice cream social at the park, the junior rodeo, and even woke up early on the day we headed up to Utah to catch the 5k/10k run (I only did it for the free shirt). While we were there, we stopped by my old house which has since burned down which was pretty crazy to see. I don't have any family left in Saint Johns so trips to my "hometown" are a little more difficult to swing. I'm glad we got to spend some time there and see old friends. Our relaxing few days in the White Mountains was a great way to jump-start our two and a half week vacation. This post is a lot longer (both word wise and picture wise) than I anticipated so I think I'll break this up into parts. Check back next week for the second leg of our vacation.